The following describes the Copyright Notice for our morethanroofing.com website. The entire contents of the morethanroofing.com site are protected by way intellectual property law, which include international copyright and trademark regulations. The owner of the copyrights and/or trademarks are our organizations website, and/or other third party licensers or related entities. You do not own rights to any article, book, ebook, document, blog post, software, application, add-on, plugin, art, graphics, images, photos, video, webinar, recording or other materials viewed or listened to by way of or from our organizations morethanroofing.com site or through e-Mail or through protected materials in a membership website. The posting of data on our site, such as a blog comment, does not change this fact and does not give you any right in the data. You surrender any rights to your content once it becomes part of our website. YOU SHALL NOT MODIFY, DUPLICATE, RECREATE, PUBLISH, UPLOAD, POST, SEND, OR CIRCULATE, IN ANY WAY, SHAPE, OR FASHION, THE MATERIALS ON OUR WEBSITE, WHICH INCLUDES WORDS, IMAGERY, CODING AND/OR SOFTWARE PROGRAMS. 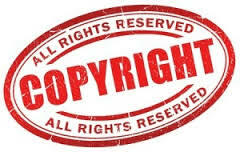 You need to preserve all copyright as well as additional proprietary updates within the original materials on any duplicate you create out of the materials. You shall not put up for sale or alter the materials or copy, broadcast, freely perform, circulate, or generally utilize the materials at all for any sort of common public or commercial purposes. The consumption of paid materials on an other website or in a networked computerized setting for any kind of use is prohibited. If you infringe upon the words and phrases or conditions, your authorization to work with the materials immediately ends and you also must promptly discard any and all replicas you would have created of the materials. You are provided a non-exclusive, nontransferable, revocable permit to utilize our morethanroofing.com website limited to non-public, personal, non-commercial purposes. You can print out and download and read sections of materials from the various areas of site only on behalf of your own non-commercial usage, so long as you acknowledge never to transform this content from its initial construct. In addition, you also agree never to enhance or delete any copyright or proprietary notices from the materials you decide to print or download from morethanroofing.com. Also, remember that any notice on any part of our website that prohibits printing and/or downloading takes president over all other previous terms and regulations. When you are an user at morethanroofing.com, you consent to utilize the products and services provided by our website in a way constant with all related local, state and federal regulations. No materials will be secured or broadcast which infringes or violates the legal rights of others, which is unlawful, obscene, profane, indecent or otherwise is offensive, damaging, defamatory, or intrusive of personal privacy or promotional rights. Our website forbids actions that may represent an against the law offense, bring about civil culpability or elsewhere infringe upon any rules. Any effort that limits or prevents an other morethanroofing.com visitor from utilizing the services of our website is also banned. Except in cases where allowed with a written contract, you cannot not post or send out marketing and advertising or commercial solicitation on our website. CHANGE NOTICE: As with any one of our administrative and legal pages, the contents of this page can and will be modified over time. With that in mind, this site might read differently by your next visit. These updates are caused by, and executed by morethanroofing.com, in because we want to protect you and our morethanroofing.com site. In the event that this is very important to you, we suggest that you should check back on a regular basis because no other notification of change of content shall offered either before or after a change or changes takes effect. COPYRIGHT NOTICE: These legal notifications and administrative pages that are on website, which include this one, have been diligently composed by a lawyer. We at morethanroofing.com have paid to license the use of these legal notifications as well as any administrative pages on morethanroofing.com for both your protection and our own. This information must not be utilized in any manner for any reason and unauthorized usage is monitored by way of Copyscape in order locate violators. DO YOU HAVE QUESTIONS, COMMENTS OR CONCERNS? : In the event that you have any questions or concerns about the subject matter of this page, or if you simply would like to contact us for any other reason, you may do that by utilizing our Contact information.